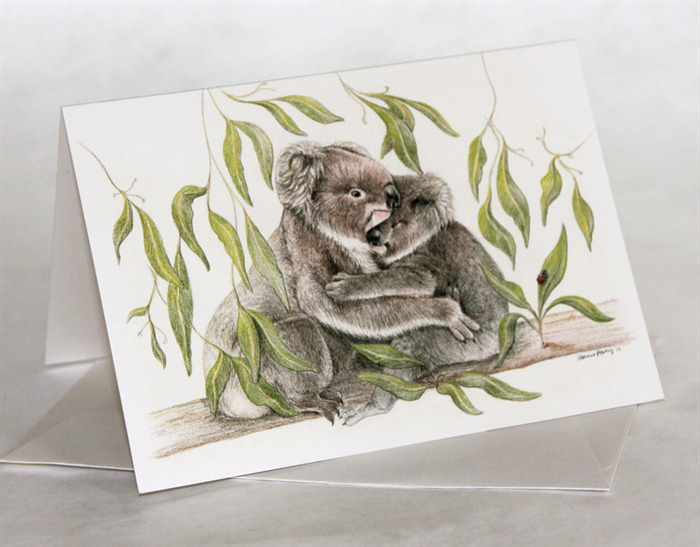 ' Koala cuddle ' wildlife art greeting card; Perfect for a loved one! 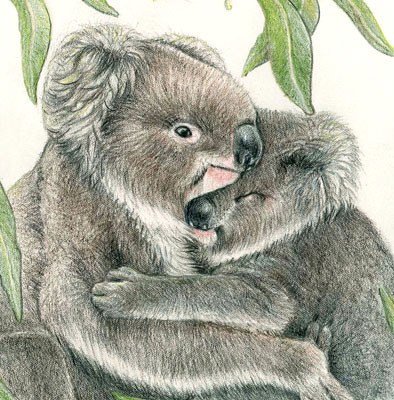 The lovable Koala is an Australian marsupial that is mostly nocturnal and eats only eucalypt gum leaves. 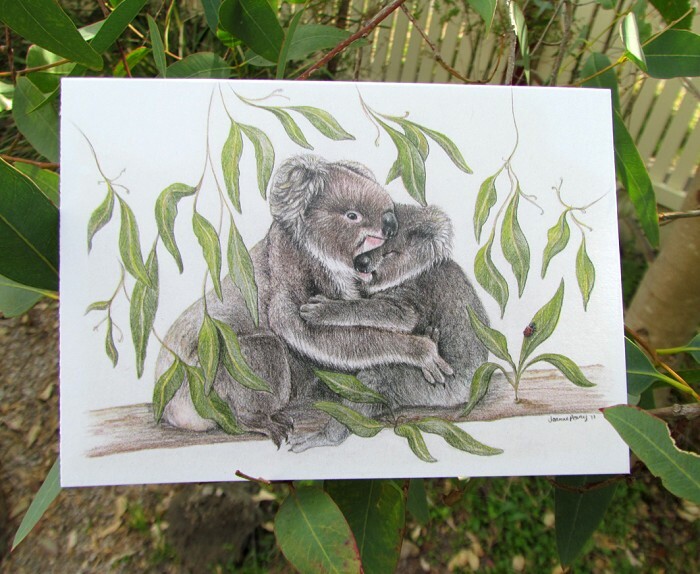 Habitat loss is the greatest problem facing koalas. The main reasons for this are landclearing, bushfires and diseases of the eucalypts. Other threats are dog attacks and road accidents. 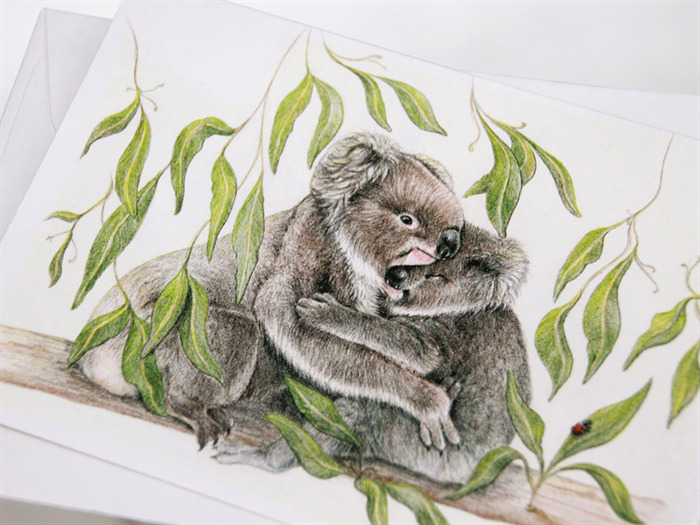 Koalas are listed as ‘Vulnerable’ in some states of Australia. 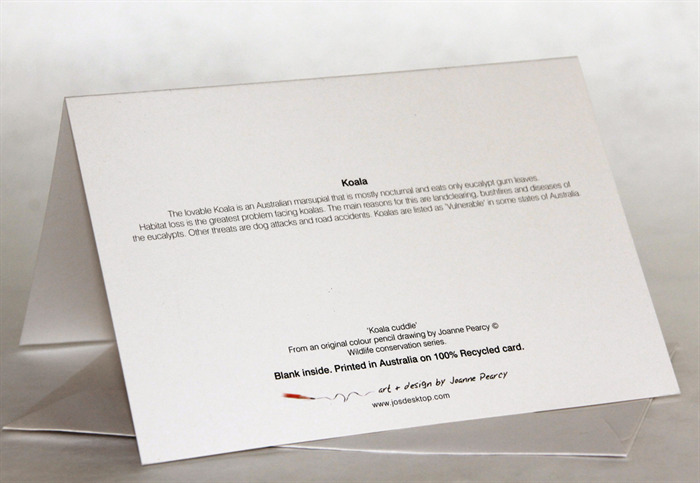 Size of folded card A6 (105 x 148 mm).